Powerwise Electrical Contractors have many years experience working in the commercial sector. Contact us today for a quote! Specialising in Domestic Work, Powerwise Electrical are your number one Electrician in Leinster. Fully registered and insured, contact us for a free quote! We work professionally and to the customers needs. We are available for all service and maintenance contracts. Get in touch. Powerwise Electrical Contractors is an Electrical Company based in the North Kildare / South Dublin region – serving all of Leinster. We are fully registered and insured and work with all types of clients, including domestic, commercial & industrial. 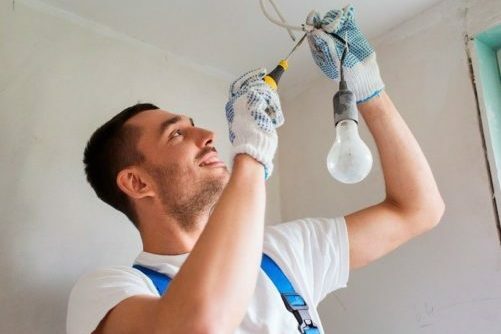 Whether you are setting up a new home or office, or renovating a new one, our team of qualified electricians can help. Over the years we have built up a huge amount of experience. We can cater to a wide range of customers working as Commercial Electricians and Domestic Electricians. We have been dealing with domestic customers for many years and have the experience to help you. We provide certs for every project, as required by law. We specialise in service and maintenance contracts. We can provide written quotations for all Commercial and Domestic Electricians projects on request. Contact us for more details. We have many loyal and satisfied customers who have many positive reviews about us. We are registered RECI electricians and are fully insured for all the work we do as Commercial and Domestic Electricians. We can work on new or existing homes, installing and upgrading electrical systems to the very highest standard. 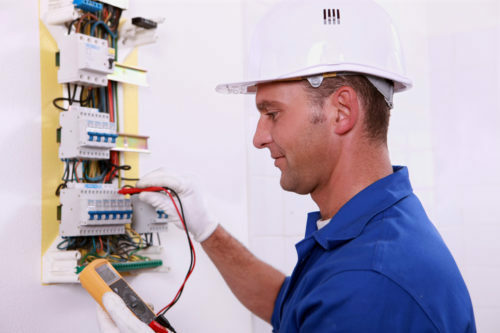 Our electricians work with companies of all sizes, working on new builds and providing ongoing maintenance. As well as providing initial installation, our electricians also provide an ongoing maintenance service. We also carry out emergency repairs and periodic inspections. We will assure you receive a competitive quotation, with great value for money on a quality service.